Take a breath, it’s Friday. 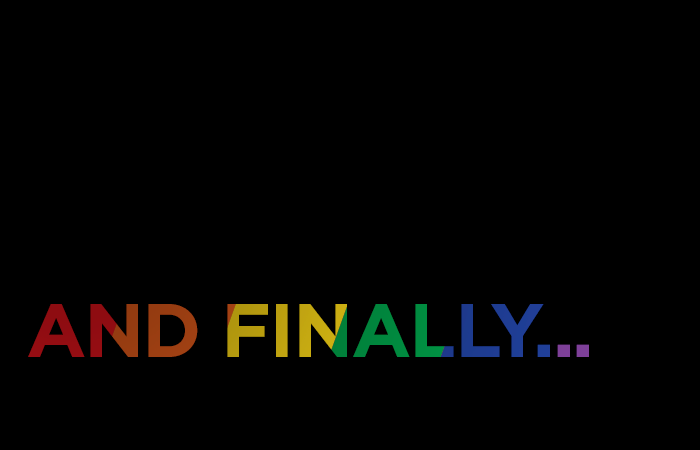 This week’s “And Finally” features news of copulating, creeps and colours… all the colours of the rainbow, in fact! “It’s not the most romantic ending a couple can imagine” says Dr Aristomenis Exadaktylos. People around the world celebrate! 2. Best advert ever made? Ever had one of those nights when you bump into Don Cheadle and a Llama in a lift before playing table tennis with Arnold Schwarzenegger? And in at number 1 is … rainbows! We’re the best at video. WE ARE! But our mates over at Claremont have made a cool video using only an Phone and iMovies. We reckon MD Ben Caspersz needs to get back to work rather than pursuing his ambition to become a Hollywood producer but a far from shabby effort!